Jameson Blake has come a long way since his stint as a housemate in Pinoy Big Brother: 737 in 2015. Barely three years in showbiz and he has achieved feats that would have taken other celebs longer to do the same. He is currently a member of the all-male group Hashtags on It’s Showtime; he is slated to star in an upcoming prime time teleserye on ABS-CBN; and is doing one movie after the other. He bagged the Best Supporting Actor award in his very first movie, 2 Cool 2 Be 4gotten in the 2016 Cinema One Originals Festival. “In my whole life, I would never expect that would happen,” he beams, pertaining to the award. Having been the shy type, Jameson says he never thought that he would get this far in the industry in just a short period of time. The acting award gave him the much-needed boost to know that he is on the right path. “I think it’s just like a sign na you have the potential, just keep on working on it. I want to expand my craft. I’m game,” he adds. His showbiz venture also taught him to be a better version of himself. “I learned to be sociable, discover my talents. I discovered stuff that I didn’t know I could actually do, getting better at things,” he explains. Currently, the 20-year-old Filipino-American actor is top-billing the upcoming Regal Entertainment, Inc. movie So Connected, with the multi-talented Janella Salvador as his leading lady. Given the number of projects entrusted to him, Jameson admits it can get overwhelming at times. “I’m not complaining. [It’s a] good kind of tiring. I’m working and enjoying it naman,” he clarifies. But more than the fame and the accolades, what Jameson is most proud of is being able to provide for his family. “It was always my dream to help my family. We went through a rough patch din,” says the breadwinner. His dad is based in Hong Kong working as a tutor, while his mom lives in Angeles City. His career requires him to be away from his family, but it’s a sacrifice he is willing to take. His hard-earned money allowed him to pay his family’s debts, and to help them financially. “Mga utang dati like for school. I managed to fix my passport and my siblings’ passport. Kasi US ang passport namin, we had to get dual citizenship, so I covered that. “I managed to buy my new car,” he says with a smile. Soon, he hopes to build his mom’s dream house. “It’s always my mom’s dream she would have her house and she would be decorating it. I would give that to her,” he shares. “I’ll be starting to invest in a house soon,” he says in a hopeful voice. In So Connected, Jameson portrays the role of Karter, a video editor for a web channel, who gets his phone stolen by a thief, who, in turn, sells it to a waitress named Trisha (Janella). Not knowing that the gadget is synced to Karter’s computer, Trisha stores photos and pictures on the mobile phone that Karter can access. Having a glimpse of her life through pictures and videos, Karter becomes infatuated with her. Eventually, he goes on a mission to find Trisha through the clues from the videos and photos. When their paths finally cross, Trisha feels she ridiculously has a lot of things in common with Karter. She feels that they are so connected. But what if she finds out that the connection she has for Karter, did not form from the genuine kind that she has in mind? 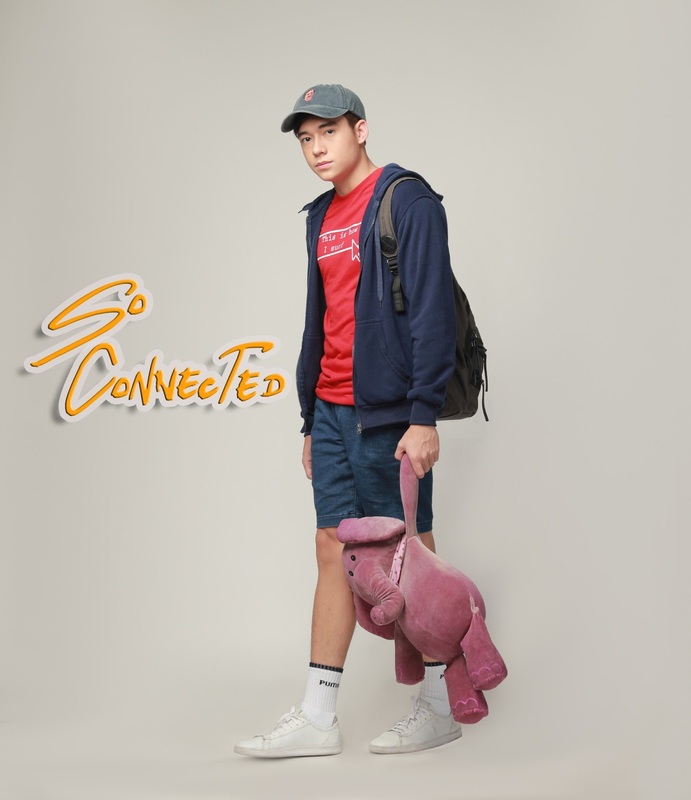 So Connected opens in cinemas on May 23. For more updates, follow Regal Entertainment Inc on Facebook, @RegalFilms on Twitter, @RegalFilms50 on IG and Regal Cinema channel on Youtube.